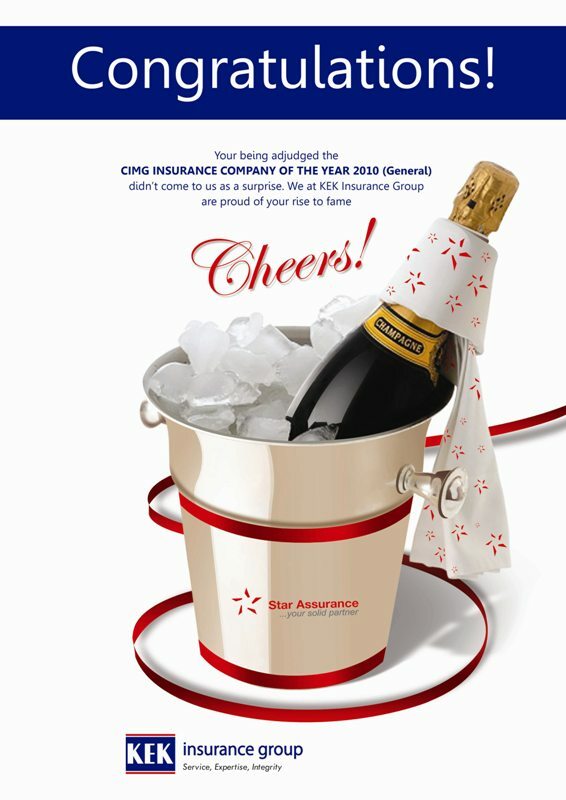 Star Assurance Company, the country’s second-largest premium income earner of the 2010 accounting year in the general insurance category, has been crowned the Best Insurance Company of the Year 2010 by the Chartered Institute of Marketing Ghana (CIMG) in an event held last Saturday in Accra. The Company defeated three other giants in the general business category who were shortlisted for the final contest in that category. The insurance industry in Ghana has seen a lot of keen competition in the last 5 years, with new companies penetrating the markets and some takeovers also occurring. It was no mean feat for Star Assurance to have achieved a growth of 47.4% against an Industry growth of 17.3% in the year. The Company’s market share also increased from 8.6% to 10.3% during the period. From the citation presented by CIMG, this remarkable performance stemming from the rebranding which impacted on the corporate culture of the organization, the strategic marketing plans executed coupled with heavy investments made in IT infrastructure and other steps taken to endear the brand to the public, made it obvious that “the Star shines brighter than the rest”. The Company believes winning this coveted awards is a full proof of the fact that, every commitment and hard work has been duly recognized by the Ghanaian public and this spurs us on to even work harder. We are not just focusing on winning awards, but delivering value to our cherished clients at all times. Certainly, as we keep our eyes on the things that make our clients happy, such awards will come naturally as a by-product.